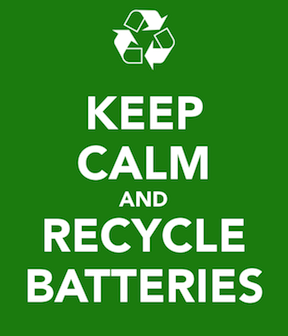 Don’t throw your old batteries into landfill, bring them into us. More than 97% of each battery is able to be recycled and used to make new batteries. You’ll be pleased to know that all your old automotive, marine, truck, deep cycle, AGM, GEL, SLI and SLA batteries are collected and passed onto a reputable battery recycling company. MobileMuster is the Australian mobile phone industry’s official product stewardship program. It’s a free mobile phone recycling program that accepts all brands and types of mobile phones, plus their batteries, chargers and accessories. Basically, it’s the industry’s way of ensuring mobile phone products don’t end up in landfill – but instead are recycled in a safe, secure and ethical way. So why is this important? Well, over 90% of the materials used in a mobile are recyclable and can be reused, avoiding future greenhouse gas emissions, saving energy, protecting our environment and conserving scarce natural resources. Mobile phone components should also never be thrown in the rubbish, where they can end up in landfill. For one thing they’re not biodegradable, so they won’t break down. On top of that, mobiles contain some substances that can potentially harm the environment if not disposed of correctly. At MobileMuster, we aim to make sure mobiles are handled properly at the end of their useful lives. Our mission is simple. We promise to keep mobile phones out of landfill. All we are asking you to do is to promise to recycle them. MobileMuster works with partners like The Battery Base to collect phones from the general public. We encourage people to return their old phones, either by dropping them off in store. It’s free for consumers, schools, businesses, councils and government agencies. Each and every mobile we send in is dismantled and recycled, and any data left on the handset is destroyed through the recycling process.